Pius IX (secular name: Giovanni Maria Mastai-Ferretti), b 13 May 1792 in Senigallia, Italy, d 7 February 1878 in Rome. 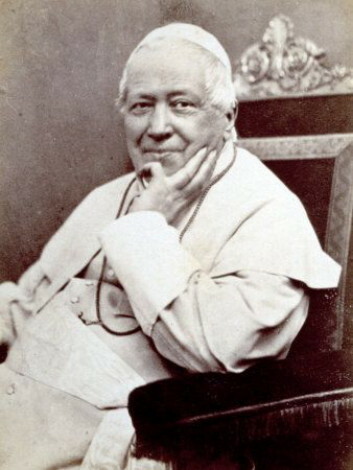 Pope of the Catholic church in 1846–78. During his lengthy tenure he elevated the Galician metropolitan Mykhailo Levytsky to the rank of cardinal (1856), founded the Congregation for Eastern Churches (1862), enacted a concordat regulating relations between Ukrainian and Polish Catholics in Galicia, established canonical chapters (capitula) in Lviv eparchy and Peremyshl eparchy (1867), and protested the liquidation of the Ukrainian Catholic church in the Kholm region and the Podlachia region by the Russian authorities (1864–75).